This represents the top 10 searches that visitors have conducted on www.austintexas.gov. The Number of Queries is calculated by Unique Pageviews per month. The data represents a one month period. LAST UPDATE MAY 1, 2013. This map shows all stray cats and dogs that are currently listed in AAC's database for no longer than a week. Most will be located at AAC, but some will be held by citizens, which will be indicated on the "At AAC" column. AAC will post an image as soon as possible, which can be accessed by clicking the link in the "Image Link" column. Please also check http://www.austintexas.gov/department/lost-found-pet for more information or contact customer service at 512.978.0500 or animal.customerservice@austintexas.gov.  Building, Electrical, Mechanical, and Plumbing Permits and Driveway/Sidewalk Permits issued by the City of Austin. Includes relevant details such as issue date, location, council district, expiration date, description of work, square footage, valuation, and units. This dataset is compliant with the Building & Land Development Specification (BLDS) data standard. This is a map of off-leash areas for dogs. This data set contains traffic incident information from the Austin-Travis County traffic reports RSS feed, available at http://www.ci.austin.tx.us/qact/default.cfm. The dataset is updated every 5 minutes. Incidents that are currently in the RSS feed have a status of "active" in this dataset. Incidents that are no longer appear in the feed have a status of "archived." Visit: https://www.ci.austin.tx.us/financeonline/finance/financial_docs.cfm?ws=3&pg=1 for information if you find your name on the list. Every year, various departments of the City of Austin report unclaimed cash and valuables, from uncashed checks, deposits, refunds, overpayments or any other transactions creating a credit balance valued at $100 or less. Landing page for the 2016 Mobility Bond Corridor Program. Provides food establishment inspection scores performed within the last 3 years. Inspections are conducted in accordance with the Texas Food Establishment Rules (TFER) and City of Austin Codes. Inspections are completed by Environmental Health Officers working for Austin Public Health (APH) Environmental Health Services Division (EHSD).